As a small scale hobby cider maker I have a few books on the subject (more on Cider books), and I was eager to see what this book offered. 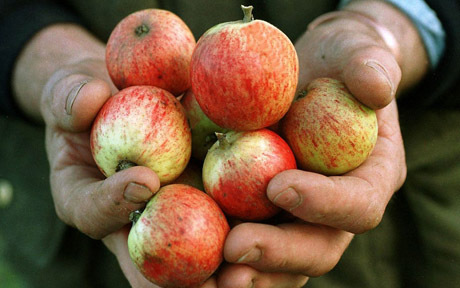 There’s a good description on apples and their cultivation, including locating, planting and management – useful if you are thinking of setting up an orchard yourself. Then the chapters after focus on the detail of pressing the fruit, looking after the juice, yeast and its role in fermentation, through to maturation and bottling. This book is for anyone who wants to grow and to make good cider, apple juice or even cider vinegar. Whether you have a back garden with a couple of apple trees, several acres of orchard deep in the countryside, or you’re just ‘scrumping’ apples from friends and neighbours every autumn, this book is for you. Here you can learn about the equipment you need, the techniques to use and just how they work as they do. You’ll also learn what to do when things go wrong, and how to put them right! Packed with a wealth of practical experience and understanding, Craft Cidermaking is for beginners and old hands alike. Chapter 2 What do I need to make cider? Andrew Lea is a retired food biochemist who started his career in the tea industry and then spent 13 years at the Long Ashton Research Station (the National Fruit and Cider Institute) in the 1970’s. He has been a hobby cidermaker with his own small orchard and cider press for over 20 years and has won many prizes at the Bath and West and the Hereford International Cider Competitions. 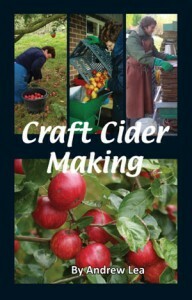 Autumn is here and apples are ready for harvest, so if you fancy making some of your own cider then get reading this book!